Previously the weekly one-hour Personal Development Portfolio sessions (delivering basic academic skills) failed to engage students from the first year Computing and Gaming Technology course. Our AR project offered a new way of working that created a more engaging programme as the focus for the development of academic skills. 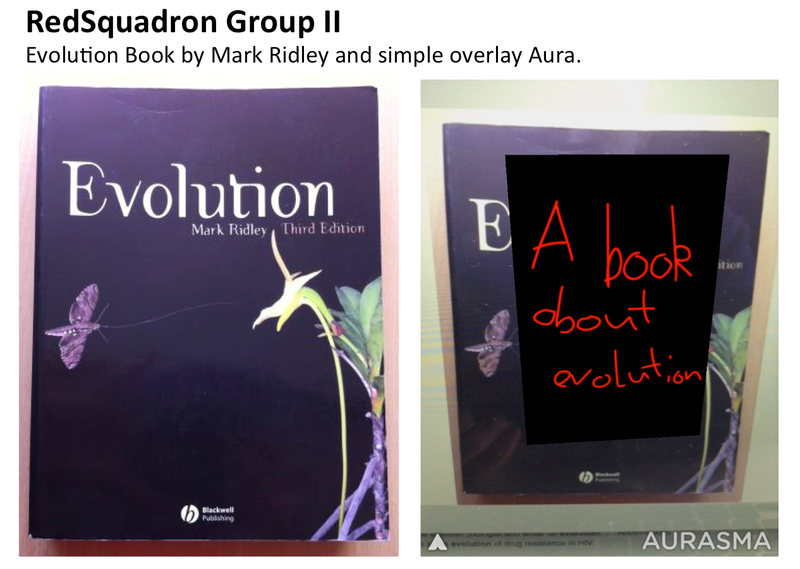 Students were introduced to the Aursama AR creation app and working in groups outside the class, used this to create augmented team logos and an augmented book. Supporting materials and ‘how to’ instructions were prepared and posted on the VLE with support provided via discussion boards and comments on their group blogs. 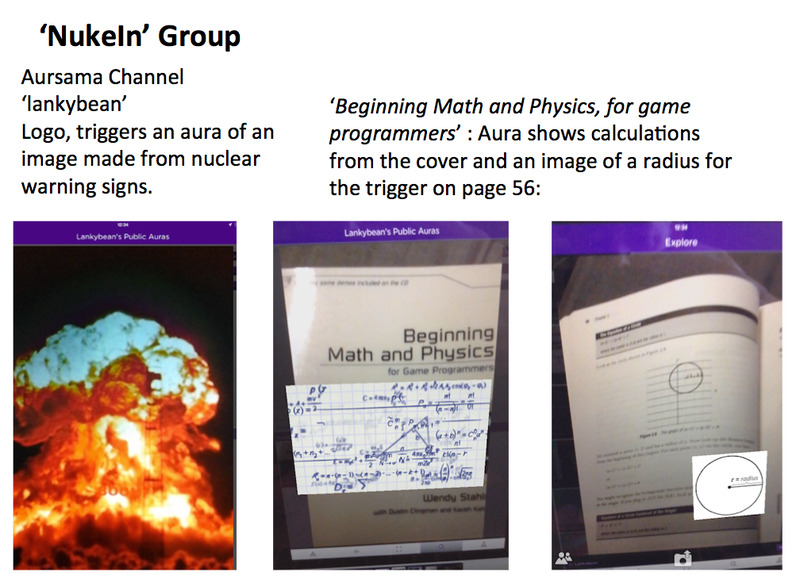 Students used the AR ‘mini project’ as a focus for research, referencing, group work, report writing, presentations and blogging on the VLE. Forty students, drawn from three seminar groups participated in video interviews. 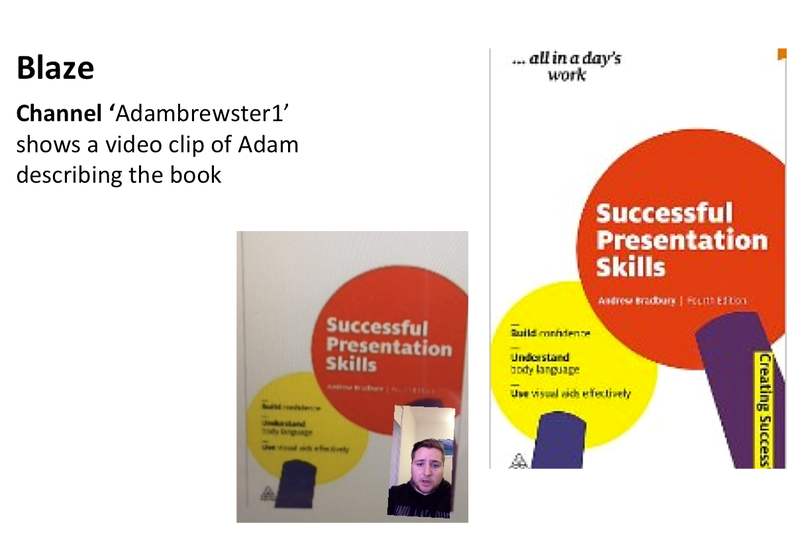 Debbie Holley conducted the interviews and the seminar tutors videoed the session, offering the whole cohort insights into the research process being modelled in the class. 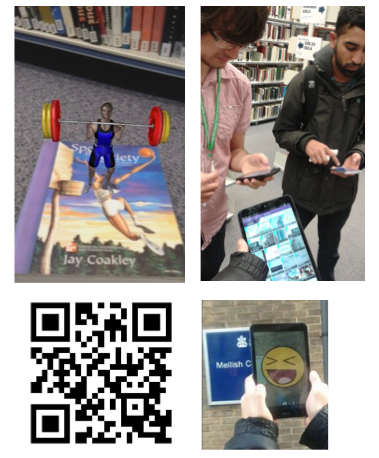 (This project was supported and financed by Anglia Ruskin University Learning and Teaching, based in the Department of Computing and Technology, supported by the department of Education). Here is an extract from one of the blogs that shows a nice reflection on the improved PDP delivery. 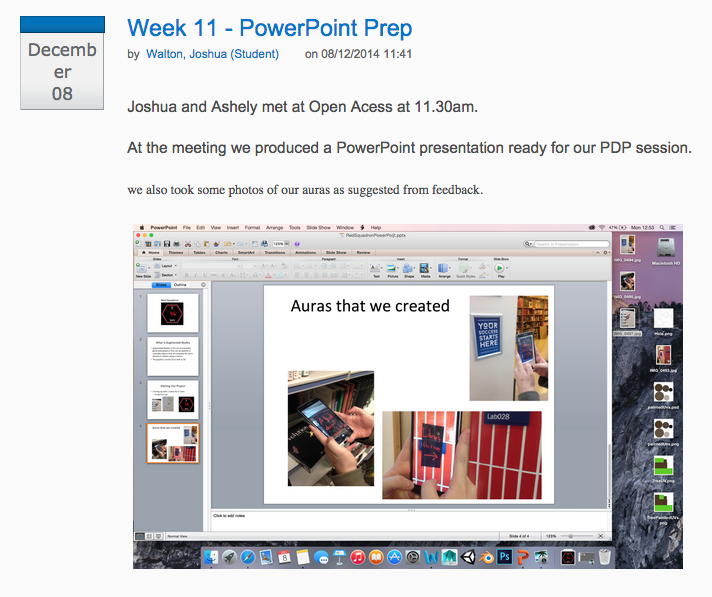 Here is a snapshot from the blog that shows the preparation for the presentation element of the PDP tasks. 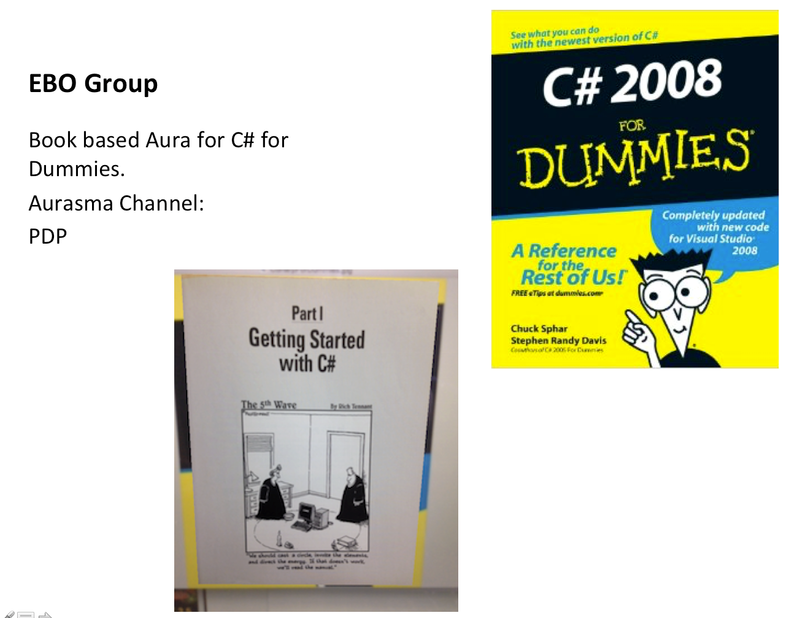 Here is a selection of the sort of things that the PDP groups created. The Quack Attack group utilised a pre-defined animation of a weight lifter to augment a book on exercise. 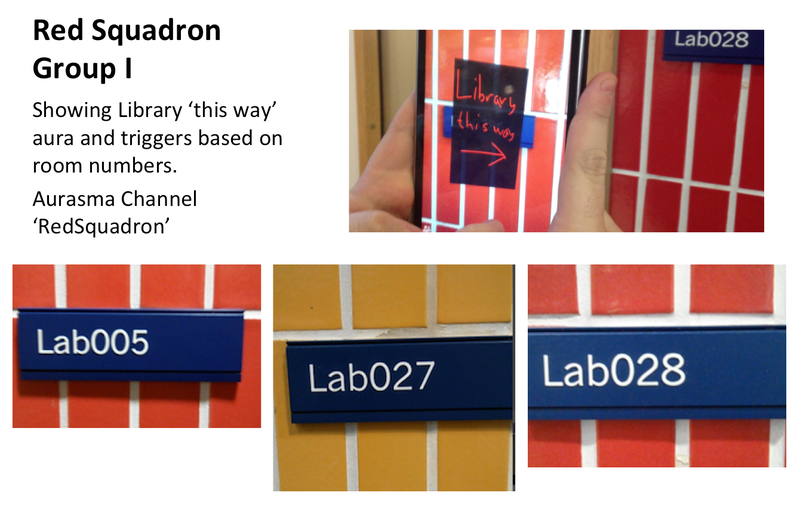 Group members also created a QR code to enable users to quickly load Aurasma and a set of outdoor triggers around the campus that showed the way to the library.